Ex-marine Adam Driver’s acting career has skyrocketed over the last few years. The 33-year-old plays self-absorbed man-child Adam Sackler in the HBO series Girls, and was cast as villain Kylo Ren in Star Wars: Episode VII – The Force Awakens (2015). Driver was even cast in an upcoming Martin Scorsese film, Silence. The film will open to a limited release on Dec. 23, and will have its full release in January 2017. However, Driver struggled with an extreme diet for his role as a Jesuit priest. The weight loss diet led Driver to have trouble sleeping and thinking straight. Chronic sleep deprivation can have a negative impact on the entire body, and it can lead to sleepiness, yawning, irritability, moodiness, memory problems, cognitive dysfunction, high blood pressure, type-2 diabetes, and a cold or flu. Driver and his Silence co-star, Andrew Garfield, lost over 30 pounds to portray two 17th century Jesuit priests who face violence and persecution as they travel through Japan in order to spread Christianity and locate their mentor, played by Liam Neeson, who was also looking thin and frail with a 20-pound weight loss. Silence has been in development in some form since 1990, and other actors were previously linked to play the roles, including Benicio del Toro and Daniel Day-Lewis. The preparation for the movie took a physical toll on Adam Driver. Driver admits that the Silence shoot in Taiwan was grueling, because he dealt with hunger, sweltering heat, and extreme tiredness. He was starving all the time, and weight loss water pills lead to three bathroom trips throughout the night. Driver says that sometimes he would show up for his scenes, and all he had the energy for was to listen and respond. The actor then had three weeks to return to his normal weight, before returning to shoot Girls. The final season of Girls will air in 2017. The first time Driver ate to return to his normal weight, he had a scoop of peanut butter and could literally felt his brain turn on. Driver’s military background led him to lose more weight than others in the film. Driver is a trained U.S. Marine that was discharged before he was set to deploy to Iraq in 2004, after he broke his sternum in a mountain biking accident. Although he never saw real war, Driver loved everything about his Marine experience, especially basic training, where you are pushed to your limits. Basically, when an ex-Marine is given an order, he follows through. Director Martin Scorsese required a certain level of dedication and Driver was up for the task. How Does Adam Driver Stay in Shape? After being forced to leave the army, Driver brought his military mindset to Juilliard acting school. To stay fit while at school, he ran from his apartment in Queens to the school’s Manhattan campus. He began his day with six eggs, and would later prepare and consume an entire chicken. Driver then spent nights at the library reading plays or binge-watching classic movies. Adam Driver says he loves to move violently once a day, or he’ll lose his mind. For the new Star Wars series, Driver was familiar with fight training due to his military background. A major difference was that there weren’t lightsabers in the Marine Corps. 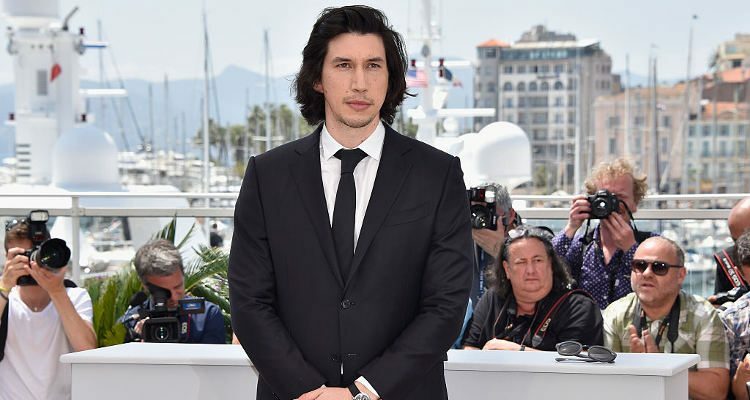 Adam Driver is known for other major roles such as J. Edgar (2011), Lincoln (2012), Frances Ha (2012), Inside Llewyn Davis (2013), The F Word (2013), Tracks (2013), While We’re Young (2014), Hungry Hearts (2014), This Is Where I Leave You (2014), and Paterson (2016). He will reprise his role of Kylo Ren in Star Wars: Episode VIII in 2017. Future roles will also include Logan Lucky (2017), Annette (2018), and The Man Who Killed Don Quixote (2018). Murthi, V., “’Silence’ First Look: See Adam Driver in Martin Scorsese’s Latest Epic,” IndieWire web site, Oct. 19, 2016; http://www.indiewire.com/2016/10/silence-first-look-adam-driver-martin-scorsese-andrew-garfield-1201738250/. “Adam Driver Suffered with Movie Diet,” Young Hollywood web site; http://www.younghollywood.com/news/adam-driver-suffered-with-movie-diet.html, last accessed Nov. 25, 2016.